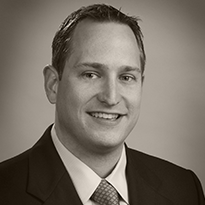 John DeWitt joined Rich & Cartmill, Inc. as an associate in 2007. Prior to joining Rich & Cartmill, Inc, John graduated with honors from Oklahoma State University with a degree in Construction Management. He served as a Project Manager & Estimator for 10+ years for a large local General Contractor, and managed multi-million dollar projects throughout Oklahoma & the surrounding states. Given his technical background, and field experience, John specializes in Property & Casualty Insurance for Oilfield related risks, as well as contractors. He is an active member of the Oklahoma Independent Petroleum Association, and has received his designation as a Certified Insurance Counselor. In his spare time he enjoys hunting, fishing, and camping, but most of all he enjoys spending time with his wife Rachel, and their two boys Dylan & Mason.